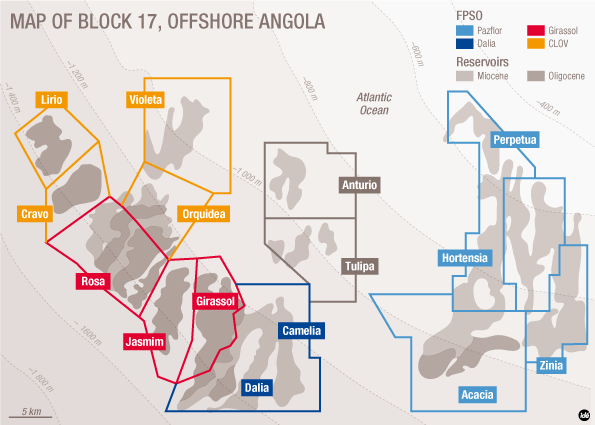 After a long wait Total have taken a Final Investment Decision (FID) on its Zinia 2 development in Block 17 located 150km offshore Angola. The Zina 2 project is designed to have a production capacity of up to 40,000 barrels of oil per day. It will tie back to Total’s Pazflor FPSO, also in Block 17. By deciding to sanction the US$1.2 billion Zinia 2 project off Angola, Total is making an important step towards CAPEX discipline and cost optimization. The Zinia 2 project will allow extended profitability of the prolific Block 17, which has so far produced over 2.6 billion barrels of oil during its production life. 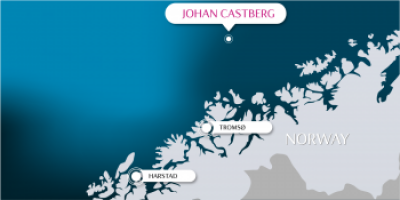 Block 17 is operated by Total with a 40% interest, alongside its partners Equinor, previously known as Statoil (23.33%), Exxon Mobil (20%) and BP (16.67%). Angolan energy company Sonangol is the concessionaire. Block 17 currently has four FPSOs; Girassol, Dalia, CLOV and Pazflor. Through a favourable fiscal framework introduced by the Angolan authorities for satellite developments, other projects like Zinia 2 is currently under development. Zinia 2 will comprise 9 wells in water depths between 600m and 1200m. These wells will be tied back to the Pazflor FPSO with a budget of US$1.2 billion. Zinia 2 is the first of several possible short-cycle developments on Block 17 that will unlock the full potential by connecting satellite reservoirs to the existing FPSO units. During an official visit by Angolan President Joao Lourenco to France Total’s chief executive Patrick Pouyanné and chairman of Sonangol Carlos Saturnino revealed Total has strengthened its cooperation in Angola. The strengthened relationship was made evident through the signing of several agreements. A risk services agreement was signed by Total and Sonangol for the deep-water Block 48 exploration licence. In addition, they also signed a framework agreement to jointly develop a network of service stations in Angola, while a memorandum was also signed to fund 50 scholarships for young Angolans to study at universities in France by the end of 2019. 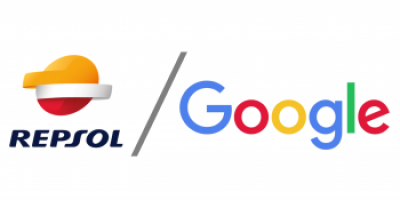 The sanction of the Zinia project and other agreements between Total and Angola signifies Total’s continued investment and commitment to develop the country’s oil and gas resources. Total is currently Angola’s main oil and gas producer and will continue to be a key player in Angola’s economy. Excluding the projected product capacity of to the new Zinia 2 project Total produces, on average, 229,000 barrels of oil equivalent per day last year from Block 17, 1 and 0, as well as Angola LNG. Total is also set to start production at the Kaombo deep offshore project in Block 32 over the summer where it holds a 30% stake. Vinci Group is present in 43 countries in Africa with more than 13,000 employees in 2017. Vinci has been working in Africa for 68 years. With the market developing significantly in both East and West Africa, candidates with FPSO and Africa experience will be highly sought after to fill positions on projects, so please ensure that you send us your up-to-date CV to be considered!